World of Health provides a number of on-line health assessment (Link to) by Dr. Ranga. He continues to run a professional Wellness Clinic with over 22 years experience Free health assessments and on-line advice are also available for customers enrolled as World of Health VIP members in an annual membership program. Just give us a call or click the 'Make an Enquiry' button for more information about any of our services or to make a booking. Dr. Ranga J. Premaratna, PhD is the principle practitioner at World of Health and has over 30 years experience in the health field. His training in Food and Nutritional Science comprises of a strong academic background in Food Scinece, Human Nutrition, Biochemistry, Microbiology, and Food Safety. He also has over 12 years of laboratory research experience in food and nutritional scinece as well as food microbiology. 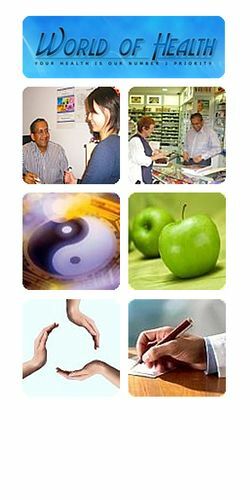 Since migrating to Australia from USA, Dr. Ranga has been in clinical practice for over 20 years helping many ptatients of all ages in returning to health and wellness using a unique blend of modern science of clinical nutrition/nutritional medicine, ancient wisdom of Ayurveda, and mind-body vibrational medicine based Reiki healing and mindfulness meditation as an integral part of the healing program.